Brandon and Jules discuss the ALEC involvement with the recent push to mandate vaccines for children, the NC Chicken ID Law, and the recent developments in Syria such as the new "No-Fly Zone" and the Turkish bombing of the Kurds. ALEC Behind Recent Push For Mandatory Vaccination - Congratulations Leftists, You Fell For KOCH! 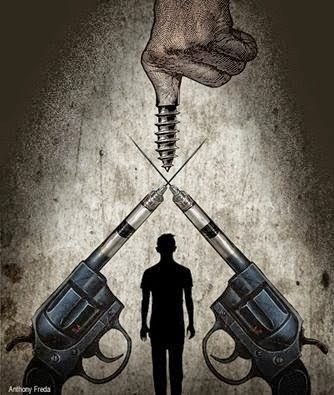 Over the last several months, Americans have witnessed an increase in media propaganda regarding the “dangers” of “anti-vaxxers,” the “proven science of vaccines,” and the “tragedies” that ensue from the failure to vaccinate. That propaganda blitz has resulted in massive hysteria stemming from similar levels of ignorance. Also resulting from the push by Big Pharma-funded corporate media outlets is the emotional and panicked campaign of pro-vaxxers, vaccine pushers, and adherents to the relatively recent new religion of “scientism” – the religious belief in anything labeled as science or scientific, regardless of whether or not that concept directly contradicts observable reality and experience or even regardless of whether or not it is actually scientific. The so-called vaccine debate – which is not truly a debate since a debate requires the participation of two opposing sides – is generally nothing more than a shouting and shaming campaign against parents who have come to the conclusion that vaccines are not safe, effective, or neither. Indeed, it is the unbridled emotion of the pro-vaccine camp that has been provoked and subsequently harnessed into a powerhouse of vitriol and social pressure that is then presented as a public health crisis. The howling of the trendy masses, glued to their televisions, sitcoms, and NPR, is then presented as an organic public outcry in the media, resulting in the conveniently timed response of politicians and lawmakers. Of course, with the creation of the false debate, there is also the political polarization of the issue – the left must be pitted against the right – in a typical but tried and true method of divide and conquer strategy. Where’s the Beef? Or, rather, where’s the beef coming from? Earlier this year, the World Trade Organization ruled that the United States was engaging in unfair trade practices by allowing country-of-origin labeling on red meat. The U.S. House of Representatives quickly moved to submit legislation to remove country-of-origin labels on these products. Unfortunately our congressman Mike Thompson (CA District 5) was one of the supporters of this legislation. This means that, if this bill is able to pass the Senate, it is quite possible that an individual purchasing one hamburger could actually be consuming meat from seven different countries. Since the country-of-origin labels would be removed, the consumer would have no way of knowing that this is the case. Deregulating the meat industry, particularly if the passage of the Trans Pacific Partnership (TPP) becomes a reality, is absolutely insane. Meanwhile Monsanto darling, Rep. Mike Pompeo (KS District 4), just introduced a new bill H.R.1599 that could soon ban all mandatory GMO labeling in the U.S. 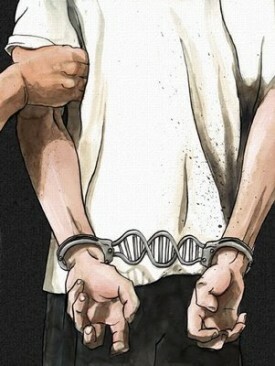 This means it would reverse the results of any efforts at the state level to label GMO’s in California. 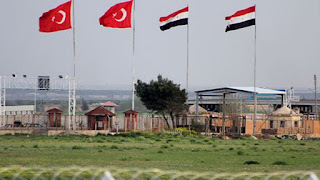 As Turkey continues to bomb inside Syria and Iraq against alleged ISIS targets and PKK Iraqi Kurds, and as the NATO Article 4 meeting looms over the Middle East, Turkey has clearly taken yet another step toward its goal of establishing a “buffer zone” and “no-fly zone” over Syria. Turkey has called Article 4 NATO meetings twice – once in 2003 and once in 2013. In the latter incident, Germany, the Netherlands, and the United states sent two PATRIOT anti-missile batteries each as well as soldiers trained in the operation of those missiles. Turkey is now requesting help with its border security due to the crisis in Syria and one can only wonder what the response of the rest of NATO will be when the meeting concludes. Article 4 allows any member of NATO to “request assistance” when its “territorial integrity, political independence or security is threatened". 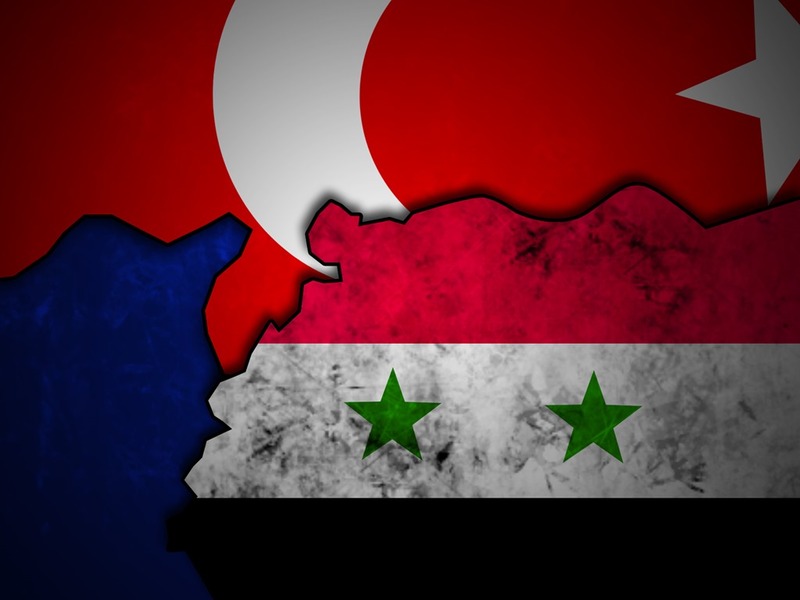 Ironically, the crisis in Syria – in particular, the issue surrounding the Turkish-Syrian border – was largely the fault of Turkey itself as it helped train and funnel terrorists from inside its borders into Syria. Thus, the crisis is entirely one of its own making. As Turkey continues to bomb alleged ISIS targets in Syria and Kurdish targets in Iraq, it has now taken yet another step toward its goal of establishing a “buffer zone” and “no-fly zone” over Syria. This is because Turkey has now called an emergency NATO meeting scheduled to take place on Tuesday. The meeting is an extraordinary act and is being justified under Article 4 of the NATO treaty. Article 4 allows any member of NATO to “request assistance” when its “territorial integrity, political independence or security is threatened." In regards to the scheduled meeting, NATO Secretary Jens Stoltenberg stated that "Turkey requested the meeting in view of the seriousness of the situation after the heinous terrorist attacks in recent days, and also to inform Allies of the measures it is taking. NATO Allies follow developments very closely and stand in solidarity with Turkey." According to SKY News’ Foreign Affairs Editor Sam Kiley, the Turks are requesting NATO surveillance aircraft along the Turkey-Syria border. Kiley also suggested that Turkey was requesting the establishment of a Safe Zone (aka buffer zone/no-fly zone) over the northern portion of Syria on the border with Turkey. On Thursday (July 23, 2015), Turkey scrambled fighter jets and launched a small amount of ground forces into Syrian territory after clashes with ISIS fighters on the Turkey-Syria border. Some are now wondering if the incident is an omen of a coming attack on Syria’s northern region. The Turkish military claims that a Turkish border unit was attacked by 5 ISIS fighters armed with a rocket launcher and Kalishnikovs. The Turkish army unit reported that it had seized the weapons, killed one of the fighters, and destroyed three vehicles. “The Daesh [Isis] terrorist who opened fire on our staff was killed and his ammunition was seized. […] Three vehicles belonging to the Daesh terrorists have been severely damaged in a fire attack,” the Turkish army statement said. The Turkish Anadolu News Agency reported that one Turkish solider had been killed in the attack. Turkish media also reported that F-16 fighter jets were being scrambled to the Turkish border in response to the incident. The clashes come soon after Turkey announced a “crackdown” on ISIS across the country as well as after an ISIS bombing of a Kurdish demonstration. The PKK responded by taking the lives of two Kurdish policemen, threatening to throw the region back into the chaos it suffered years ago. 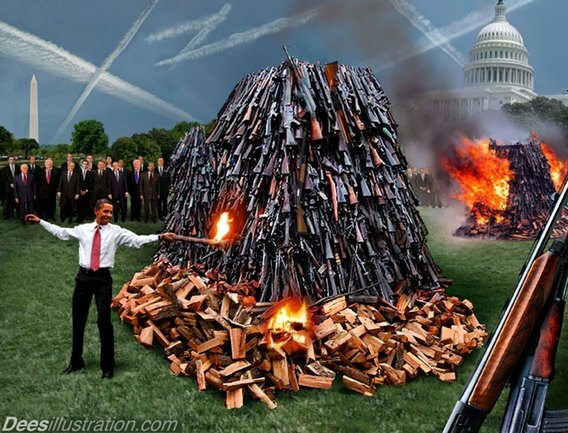 Whenever one thinks the Obama administration’s war on the Second Amendment couldn’t get any more insane, Barack Obama prances onto the stage to prove everyone wrong yet again. This time, it is not merely a carefully planned and orchestrated jig on the graves of mass shooting victims or pathetic whining about “gun crime” and the amount of time he must give regarding the issue. It is a push to ban a large number of Social Security benefits recipients from owning guns. That’s correct. 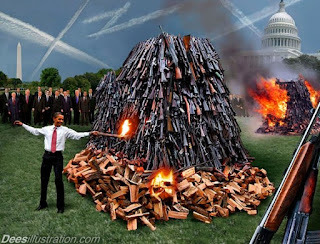 When the Obama administration can’t get its way by attacking gun owners head on, it merely turns to extorting the elderly and disabled whom it holds hostage via their need to receive Social Security benefits – benefits I might add, that are owed to them. Thus, the Obama administration is pushing to prohibit Social Security benefit recipients from owning firearms if they “lack the mental capacity to manage their own affairs,” a move which the Los Angeles Times reports would affect millions of people whose disability payments – for one reason or another – are handled by other people. The idea is to bring the Social Security Administration under the jurisdiction of laws that regulate who gets reported to the National Instant Criminal Background Check System (NICS), a database that was initially supposed to pertain to illegal immigrants, drug addicts, and felons. The three discuss National Banking, Syria, Middle East, Perception Management, False Dichotomies, Greek Debt, Monsanto, Glyphosate, CYP450 Enzymes, War, Propaganda, Cultural degradation, immigration, political correctness, and Satanic Ritual Abuse. Kuwait passed this law conveniently after an Islamic State (and thus NATO-directed) bombing of a Shiite mosque on June 26. The law is being justified as a way to make it easier for law enforcement to track down criminals and terrorists after the attacks have been committed. 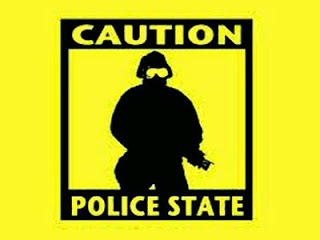 Thus, the incident stands as another Problem-Reaction-Solution-style terrorist attack justifying an even more totalitarian police state response. “We have approved the DNA testing law and approved the additional funding. We are prepared to approve anything needed to boost security measures in the country,” independent MP Jamal Al Omar said. Video allegedly stolen from John McCain's staff. 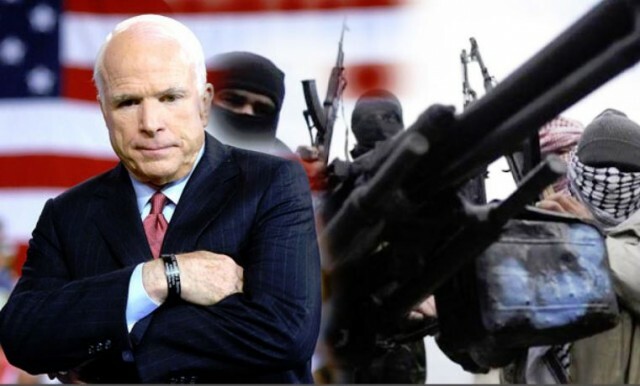 John McCain’s sordid history with ISIS, terrorism, and color revolutions has been demonstrated time and time again. However, if a new video released by Ukrainian hacker group Cyber Berkut turns out to be real, McCain’s ties to terrorism and domestic pro-war propaganda have become even more demonstrative. Only days ago, Cyber Berkut released a video purporting to show the studio creation of one of the famous ISIS beheadings of Western journalists. The video shows a “movie studio” complete with camera and directing crew as well as a small stage set with background and dirt for setting. On his knees is what appears to be a bald man some are claiming to be Steven Sotloff (although others suggest James Foley); and to his side is another individual dressed in all black with his face covered in the same way as “Jihadi John” in the videos blasted across the television screens of Western audiences during the drum up to the bombing campaign in Iraq and Syria. The hacker group claims it came into possession of the video by hacking into a device belonging to a member of John McCain’s staff while the Senator was visiting Ukraine. On a brisk fall night in Orangeburg, SC, Joel Robinson awoke in the hours just before dawn to the sound of intruders. These intruders had burst into Robinson’s house unwelcome and unannounced, storming inside with guns drawn. Fearing for his life, Robinson did what any self-respecting and threatened individual would do – he picked up his gun and fired on the assailants, hitting one in the arm. Unfortunately for Robinson, these assailants were DEA agents, a special kind of home intruder who believe they have the right to invade a person’s home in the middle of the night, draw guns on them, and face no repercussions. Again, unfortunately for Robinson, the judicial system seems to agree with the DEA in that they are not only above the law but clearly a higher class of citizen that has the authority to violate every right in the book, threaten citizens with death and bodily harm, and there is nothing the victim can do but beg for the officers’ kindness not to kill him. In fact, that is virtually what the court proceedings have revealed in Robinson’s trial. It appears that – with few exceptions – the 2016 elections will be an exercise where candidates jockey for the title of biggest warmonger. Of course, that contest would have been won long ago if rhetoric and war psychosis were the only criteria. SC Senator Lindsey Graham has indeed received a head start in the competition for his regular incitements to war, most vociferous support of foreign entanglements, and the most psychotic suggestions for US foreign policy. Graham recently attempted to clinch the win by giving his “first major foreign policy speech” at the Atlantic Council “think tank” offices in Washington, D.C. Graham’s speech was designed to stand as a preview as to what he would do if elected President, a speech that shortly turned into a list of countries he would bomb, countries he would invade, and countries he would both bomb and invade. Graham then went on to pronounce that he believed the U.S. should commit 20,000 troops to the Syria and Iraq regions in order to “fight ISIS,” the same terrorist organization that his friend John McCain helped organize, train, fund, and direct. Graham wants to increase the number of U.S. “military advisers” on the ground in Iraq from 3,500 to 10,000 and to include “special forces.” He wants a similar number contributed on the ground in Syria. 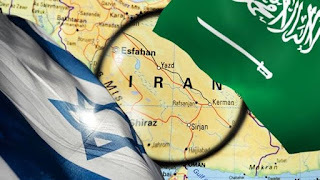 Graham also laughably stated that Iran poses “the greatest existential threat to the world order” today and that, if the Iranians refused to knuckle under and accept the U.S. demands as opposed to a deal (which itself is an insult to a sovereign nation), he would commit the United States to yet another war. As Greece concludes its vote to reject IMF austerity measures and impossible “debt repayment mechanisms” and as the Puerto Rican debt cauldron bubbles off the shores of the United States, there is yet another country whose debts to private bankers, the IMF, and other “creditors” is about to come due – Ukraine. Around the end of July, approximately $15.3 billion dollars of bonds will be due to be paid to a wide variety of creditors – government, IMF, and private holders. On July 26, however, Ukraine will be unable to pay the money it owes to those creditors. Interestingly enough, when the Greek default hung in the air along with the possibility of the continued rejection of IMF austerity measures, compounded with the likelihood that the Greeks would begin to pursue a new policy of independence, sovereignty, and dirigism, the result was media and financier panic. That panic is not being played out over the Western airwaves when it comes to the question of Ukraine, however. 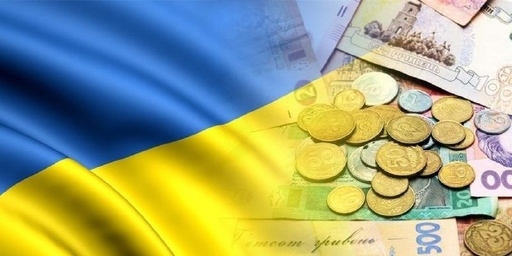 Indeed, another curious aspect to the looming Ukrainian default is the apparent haggling and scrambling on the part of the IMF to ensure that the country continues to implement austerity, pay its private creditors (except Russia), and pay the IMF while staying afloat, at least on paper. After all, when the Greeks announced (as the IMF later admitted in its own report) that the debt it owed was unpayable and unserviceable, the reactions from the IMF and the Eurogarchs were quite different – either make all the payments and implement all the austerity measures or face the wrath of the world financial elite. In the first half of the show, Brandon interviews Eric Metts and Dylan Shelton of the Carolinas Local of the Tax Wall Street Party and United Front Against Austerity. The three discuss the platform of the TWSP and UFAA, economic solutions for the United States and the American system of economics. They discuss the difference between the American system and other economic systems. In the second half of the show, Brandon discusses the Greek crisis and solutions for the Greeks, should they choose to implement them. Brandon discusses the Greek situation, Syria, three ISIS terror attacks across the world, the plan for an invasion of Syria, Buffer zones, Obama, the national oligarchy, Rev. Pinkney and the recent Italian condemnation of the US human rights violations against him. Over the last few months, Americans who pay attention to current events have been treated to a surprising barrage of praise coming from the mainstream media regarding the Kurdish fighters in Syria. The Kurds have been presented as true freedom fighters and an opposition that the US can justify supporting, at least at some level, against ISIS. Much of this praise is well-deserved. Kurdish fighters have indeed fought bravely against ISIS, dealing blow after blow to the Western-backed terrorist group on a number of occasions. Indeed, the Kurds have fought so skillfully that the US was quick to steal credit for a high-profile operation that was actually conducted by Syrian and Iraqi Kurds – the rescue of trapped Yazidis on the top of Mt. Sinjar. The resolve that Kurdish fighters showed in their fight against ISIS at Ayn al-Arab (aka Kobane) was extraordinary as was their understanding of the necessity for coordination and cooperation with the Syrian government with regards to issues containing mutual strategic self-interest for both parties. The West, however, particularly NATO spear-headed by the United States has long had much a much different interest in the Kurdish fighters and their relationship to the region and the conflict currently raging there. Indeed, the Kurds have long acted as a force which the US has been able to harness to stir up destabilization in the Iraqi, Syrian, Turkish, and Iranian sphere. 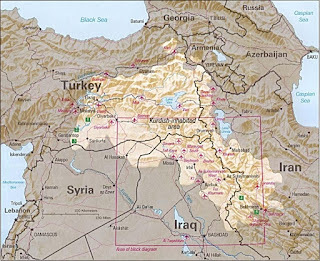 Such is the case now, as the US and NATO powers seek to use the Kurdish desire for an independent country – Kurdistan – as a destabilizing force against Syria, Iraq, and Iran and a galvanizing force for the Turks. 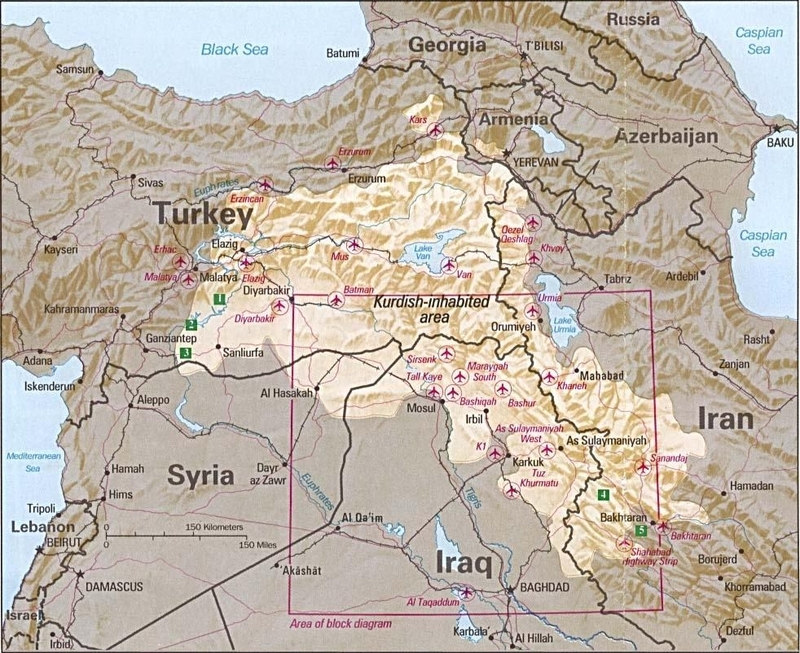 Whether or not the Kurds will ever obtain such an independent state, however, remains to be seen. Brandon and Jules discuss the Divide and Conquer strategy, the Greek economic crisis, and the US economic crisis. Brandon and Neil discuss ISIS, Divide & Conquer, Gun Control and Solutions to the globalist agenda. Even worrying members of his own government, Turkish President Recep Erdogan is showing the world just how he earned his being shown the door in the last election. This is because Erdogan has recently announced plans to invade Syria, occupy a swath of land on the southern Turkey/Norther Syria border, and establish a buffer zone there. 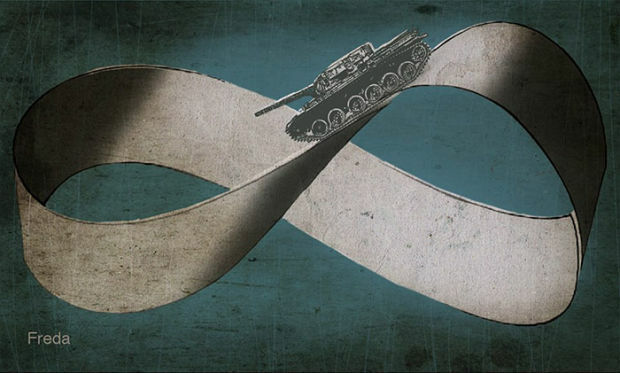 In the past, Turkey has sent troops into Syria under the guise of protecting a Turkish enclave in Syrian territory but, in reality, the operation was an attempt to provide cover for Western-backed terrorists moving against the Syrian government. 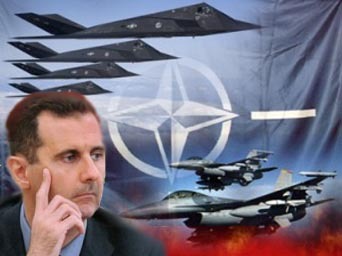 The Turks have also committed sizeable amounts of their intelligence agents and “special ops” crews to Syria. This recent announcement, however, involves the commitment of Turkish Air Force and infantry which will then be used to not only establish a “buffer zone” in Northern Syria but also to occupy that zone. Turkey’s plan, arranged by Erdogan through a series of rule changes to Turkish law, is being justified on the basis of the Syrian refugee crisis. Erdogan suggests that by creating a “buffer zone” in Syria, Syrian refugees will have a larger area in which to find shelter, particularly a larger area that is not Turkey. Yet Erdogan is not using the plan only for the benefit of Turkey’s humanitarian relief assistance programs or the Syrian refugees. While Erdogan’s public presentation of the plan also involves combating ISIS in Syria, the truth is that the military operation will be a battle against the secular government of Bashar al-Assad and the Kurdish forces carving out their own independent country in the areas bordering and possibly encompassing Turkey.